Friday 20th November saw over 300 of the very best in social care attended a glittering awards ceremony at The Royal Armouries, Leeds, for the finals of the Great Yorkshire & Humber Care Awards, where the category winners were announced. 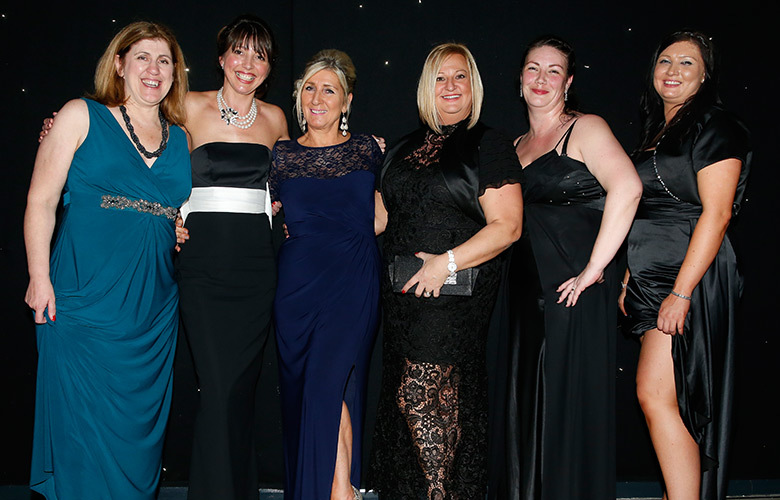 The Great Yorkshire & Humber Care Awards, sponsored by Access Health & Social Care brought together the category finalists from across the Yorkshire & Humber region. The awards are part of the Great British Care Awards, a series of 9 regional awards celebrating excellence across the care sector. The purpose of the awards is to promote best practice within both home care and care homes sectors, and pay tribute to those individuals who have demonstrated outstanding excellence within their field of work. Sector support includes The Department of Health, The Association of Directors of Adult Social Services (ADASS), Alzheimer’s Society, The National Care Forum and The Social Care Institute for Excellence (SCIE) as well as local authorities and commercial organisations. There are a total of twenty award categories available for nomination, which represent all areas of the care sector,whether it be older people or specialist services and from frontline staff such as care workers and care managers to people who have made an impact in other ways such as training, and specialist care in areas such as dementia and innovation. The gala awards evening started in style with a drinks reception, followed by a superb gourmet dinner with some surprise entertainment throughout. This year’s awards theme wasGrease and were presented by entertainer Steve Walls with an abundance of entertainment from Encore Entertainment. Winners of the Great Yorkshire & Humber Care Awards will go through to the final at Birmingham’s ICC in Spring 2016. They believe that success is a happy team. They fully embrace commitment to care and have created an excellent staff profiling system which ensures all service users are at the heart of the service. Louise goes above and beyond her role to ensure the residents in her care have the best chance in life. Her passion and commitment is a credit to her and the profession. Tina personifies great home care. With a happy, smiley face, her clients are at the heart of everything she does. She puts training into practice and shares best practice with families and colleagues. In her words “a little kindness increased joy and wellbeing”. Darren always strives to do the very best he can to ensure a positive outcome for the service users. He ensures respect, dignity and empowerment, enabling people to achieve whatever they want to do. Cherly is very enthusiastic and passionate about her role, her duties, staff and residents. Cheryl is a clear, caring and thoughtful individual, which is particularly evident in her approach to putting her residents at the heart of everything she does. Sarah has created an ethos where her care givers only offer a minimum of 2 hour visits. She delivers free workshops to family members and carers. Sarah believes a happy workforce is essential and invests time to nurture all her staff. She says this is the perfect job, is very rewarding and her salary is secondary. Clearly devoted to her job and leading by example, embedding, and where necessary, challenging dignity in care to improve the quality of life of the people she supports. Often going above and beyond her role she uses her dedication to go that extra mile to ensure people have opportunities and experience that make feel valued. An innovative and passionate team who blew us away with their dedication and vision. In the words of one of their service users “they’ve change our lives”. The team thought their greatest achievement was gaining one of the first ‘outstanding’ awards by CQC. That was exceptional but was superseded by what they do for their residents every day. Suzie gave up a position as a TV Producer in London to find a role in which she could make a difference. She has found that niche in Exemplar Care and the care sector is fortunate to have her. Walter is more than a Maintenance Man. He is passionate about making a difference to the lives of his residents whilst always ensuring they are safe and secure. He has a wonderful rapour with both the residents and staff and involves the residents where ever he can in order to provide companionship and maintain independence. Theresa’s passionate and professional approach towards training of care staff shines through and he demonstrated a consistent commitment to the benefits of excellent quality training for all staff, to support them in the delivery of top quality person centred care. Through working in the sector Monica identified a need for external support and network function. The passion and commitment to work with all partners is set to improve social care across Yorkshire. Kelly is passionate about delivering quality, person centred care. She adopts a supportive and flexible approach in leading her team and inspires them with her infectious enthusiasm. Tim is clearly a very driven and focused individual. Although the company he works for has seen a considerable amount of adversity, he hasn’t allowed this to impact the standard of care which is delivered. Regency Court Care Homes have turned round a failing home to become a beacon for how care homes for dementia patients should be run. Their proactive approach towards improving the wellbeing of residents has seen some residents coming off unnecessary medication. They have forged great links with health professionals and the community. All in all they really do put people first! Judith has been a Care Support Worker for Direct Health since 2009. Recently her son became seriously ill without any warning and Judith was advised to prepare herself for the worst. Judith was told her son would require an urgent transplant but rather than go off sick she adapted her work load so she could manage both her regular care calls and her family time. Thankfully her son was given the much needed medical attention he required and she has been key into nursing him back to health. As she didn’t want to let her service users down she continued to support them throughout this difficult time. Sue has worked within the social care industry for over 20 years in various capacities and is currently the Chief Executive of Harrogate Neighbours Housing Association. A volunteer at Donisthorpe in the mid-1980’s, Sue was appointed part time development officer in 1996 prior to being appointed customer service manager in 1998. Following an internal management reorganisation in December 2000, Sue became support services manager. From 1998, her career in residential/nursing care developed. Sue joined the National Association of Care Catering in 2002, and was elected chair in 2007. Sue led the independent research commissioned by the association into community meals, and the subsequent summit. The Duchess of Cornwall’s involvement in the 2008 Community Meals on Wheels Week was one of the highlights of Sue’ two years as Chair. Sue has also been a board member of the Independent Care Group for many, many years. In 2008, Sue was named among the top 50 Most Influential People in Care by ‘Care Business’ magazine. Sue’s contribution to elderly social care has been invaluable and she firmly believes that in any industry, to be an effective leader, you must lead by example. Sue admits that within the care sector every older person counts and the service provided must relate to everyone’s own values. As a leader, she supports her staff and is dedicated to staff training and continuing professional development. She has untiring enthusiasm and spirit in her role as Chief Executive for Harrogate Neighbours. A truly worthy winner.